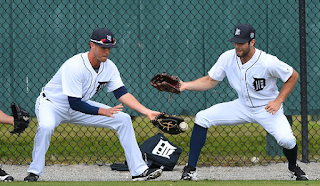 Editor's note: our resident Pitching Mechanic FIPmyWHIP (Ron) is back with part one of a two part series on the Tigers' starting rotation and their mechanics. You can reach him on Twitter at @FIPmyWHIP, or via email at fipmywhip@gmail.com. Mike Pelfrey has pitched poorly thus far and I heard he's had Tommy John surgery, what's going on? Mike Pelfrey demonstrates what has been termed "early pronation," often called "premature pronation." To understand what early pronation is and why it's a problem with many pitchers, first you must understand what pronation is. Pronation is simply the scientific/medical term for the rotation of the wrist into a palm-down position. 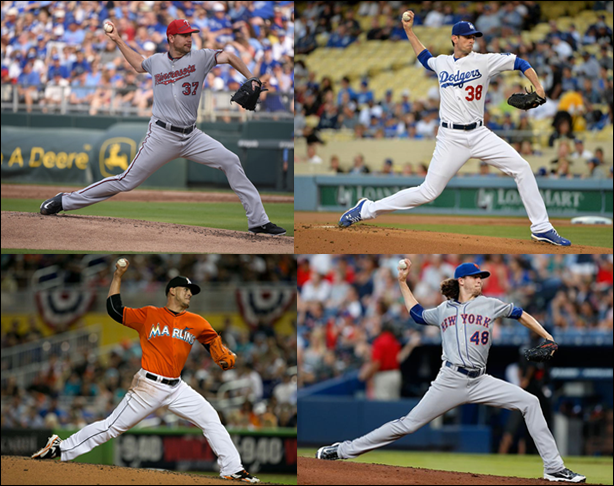 Why do pitchers pronate? During the release of specific pitches (mostly the curveball, but also the circle change, and some versions of the slider) the pitcher pronates in order to get the necessary force and spin for the pitch to break properly. Pronation is necessary at release point for every pitcher that throws those particular pitches. This requires extra movement of the arm to reach a proper throwing position, almost always causing a delay in the timing of the delivery. It also changes the position of the muscles in the arm, where the forearm muscles normally help protect the UCL. During early pronation, many believe (and I agree) that the arm muscles are in a position that reduces the protection they provide to the UCL. If this belief is wrong -- some contend that early pronation actually increases protection of the UCL -- we should see a decrease in arm injuries of pitchers who pronate early. Mike Pelfrey does this, as do many other pitchers who have also had Tommy John surgery and other injuries. Shane Greene had multiple DL stints last season -- what should we expect? Shane Greene's mechanics are not the worst, but there should definitely be concern. His pre-MLB Tommy John surgery is a red flag that warrants a second look. Obviously, since he's had Tommy John surgery, his UCL is no longer as damaged as it was before the surgery. This means the concern should be with the other parts of his body. His shoulder injury last season makes me very concerned about his future health because, after the elbow, the next closest point of stress during delivery is the shoulder. Add this to Shane's mechanical issues of early shoulder rotation and a higher elbow placement (in a earlier post, I wrote about why this is a concern with any pitcher), and we're looking at increased chances of an injury. There is a silver-lining in this though: the blister issue that has sidelined him for almost a month this season was not caused by mechanics. A lot of external factors go into causing a blister while pitching, many of which the pitcher himself has zero control over. Shane Greene has tons of potential and could even be, in my opinion, a Number Three Starter if he's able to clean his mechanics up and maintain consistency. Daniel Norris has already been injured already this season -- are there indications it was mechanics related? Alright, enough doom and gloom! Take a deep breath, Tigers fans! Norris' injury was not caused by his mechanics in any way, shape, or form. In fact, it happened while he was working out in the weight room. Chris Iott of MLive wrote an article on what happened right after Norris was placed on the disabled list. If that doesn't ease your concerns, here are some photos of Norris at different points in his delivery. As you can see, every photo where his foot is touching the ground, his arm is in the correct position, his elbow never breaks the plane of the shoulders, nor is he "on top of the ball." My concern is minimal when it comes to Norris' mechanics as long as there aren't any long term effects from the back injury. I will enjoy watching Norris develop in a Tigers uniform. Whether or not he can be an ace is yet to be determined, but he has plenty of time to perfect his craft. In Van Man we trust!